Claridges was my first experience of Afternoon Tea - English tradition at its finest - and we booked it for my mum's 60th Birthday as she had always wanted to try it. 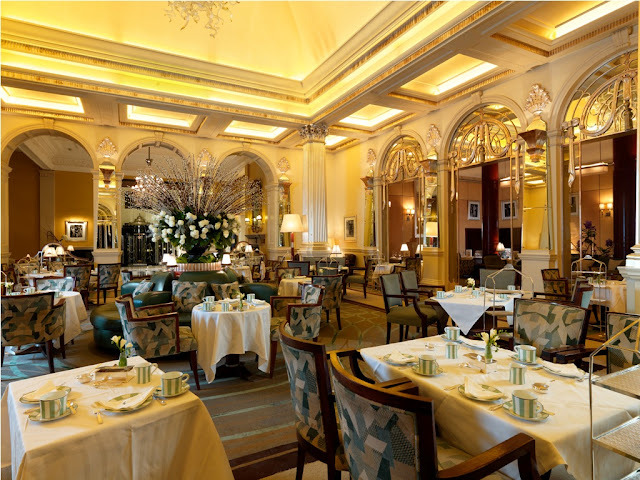 I chose Claridges as that year it had won the Tea Guild Award of Excellence. Booking it was straightforward. I did it online through the Claridges website, although you can also book via telephone. I have to admit that although this visit was 3 years ago, we did return 6 months later and the experience was exactly the same. We went in February 2007 which unbeknown to us was the exact same time that Mariah Carey was staying there for the opening of Pinko fashion store in SW3, and there was quite a buzz in the wintry air! We arrived by foot as it is just a short walk from Bond Street Station.When we stepped through the doors we were greeted with smiling faces and were promptly ushered into the delightful foyer (where afternoon tea is served) This was an intimate, yet stunning room that oozed charm and sophistication and yet the atmosphere was incredibly relaxed and unimposing. Behind us was the hugest vase of flowers you could imagine - we were seated in the middle section and just opposite us was the pianist. I love having live music playing, so this for me was a real treat and at one point a violinist even joined him. There was a mix of diners, some just enjoying a drink, others there for the whole experience. A mix of ages and nationalities and all appeared to be enjoying themselves and soaking in the atmosphere of this establishment and listening to the delicate music being played in the background. From the minute we arrived to the moment we left we were taken care of. The staff were incredibly friendly, knowledgeable (in advising on the different teas available) and helpful. We had a dedicated staff member standing discreetly on the side, which meant that not once did we have to refill our tea cup - he did it all for us. This was a lovely touch that made us all feel very special indeed. There were 30 teas to choose from, a delectable selection of finger sandwiches, warm freshly baked raisin and apple scones with tea infused jam and Devonshire clotted cream. If that hasn't filled you up then the serving of delicate pastries and desserts will! The staff kept on bringing out the sandwiches and scones until we were full. They looked tiny but we found them deceiving as very soon we were feeling full up, so as I mentioned in the Dorchester review, it is a good idea to pace yourself. I chose the Claridges tea and a rose option. Both were delicious and neither needed milk or sugar. I love the subtlety of flavour that these tea leaves infuse. 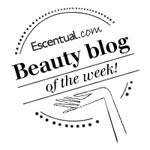 As a first experience we were thoroughly spoilt and left with huge beams on our faces. The service and food were outstanding, and then we bumped into Mariah Carey on the way out! What a truly special day. Mariah Carey leaving Claridges - Not bad for my husband's camera-phone! We loved it so much we returned 6 months later for my mother in laws 60th, and it was exactly as we had remembered it. A fantastic time was had by all. This is an establishment that really cares, and is eager to please. I truly believe that you will not get better service in any other establishment serving Afternoon Tea. 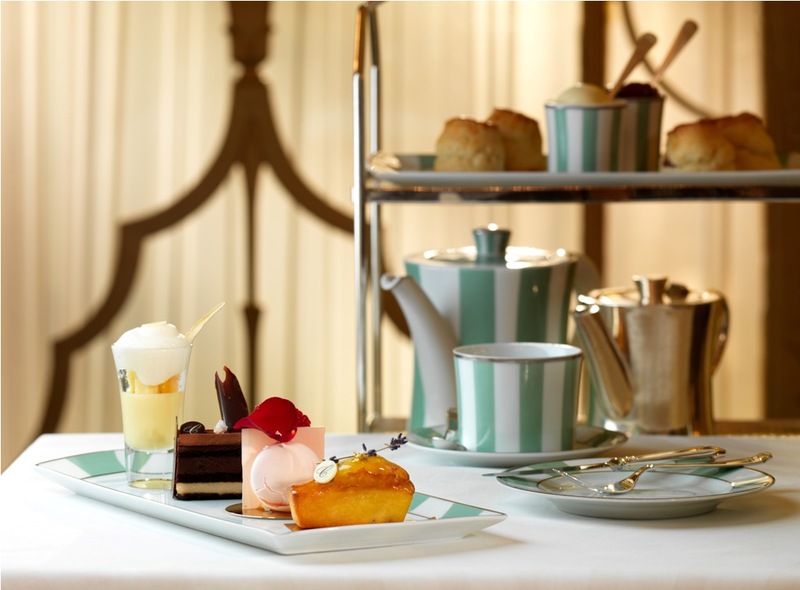 Claridges bills itself as the best Afternoon Tea in London, and although I haven't been to every establishment yet.. so far I am inclined to agree. I award Claridges 10/10 for all aspects. Standard Afternoon Tea costs £35 per person, £45 for the Champagne option and is served daily 3pm, 3.30pm, 5pm and 5.30pm. I love afternoon teas but have not tried this one yet!